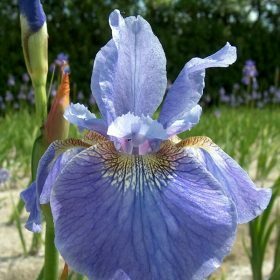 We supply a range of iris from ensata to siberica. 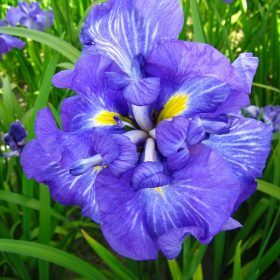 Azure has flowers that are a veined purplish blue with a lavender blush. 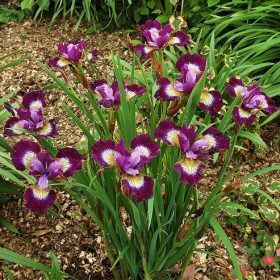 Iris Ensata are easy plants to grow and they prefer acidic soil that are organically rich and remain moist at all times. 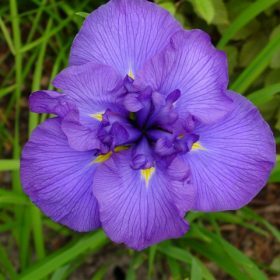 Iris Ensata are easy plants to grow and Electric rays is no exception producing blue flowers that have white stripes. 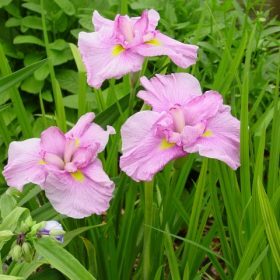 Iris Ensata Momagasumi has soft pink flowers with pink stripes. 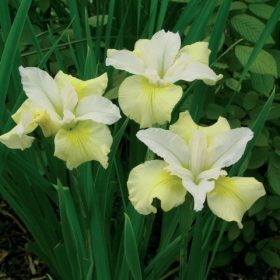 Grow in full sun or partial shade next to water (but not in it) if possible. Contrast in Styles has wine coloured standards, light blue markings and wine red falls. 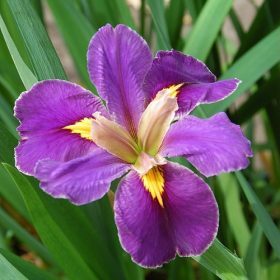 Each stem will grow to 60-90cm high and can produce between 2 and 5 flowers per stem. 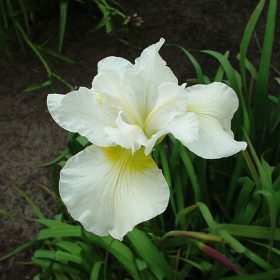 The flowers of Moonsilk are a distinct creamy yellow and white and will look great in any garden setting. 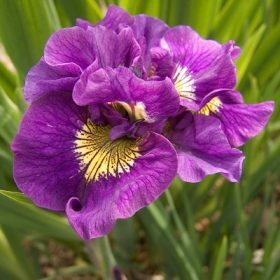 Iris perform well in most gardens and will quickly form into clumps.